Roommate Mania! The Best of the Worst Music! Body Swapping! 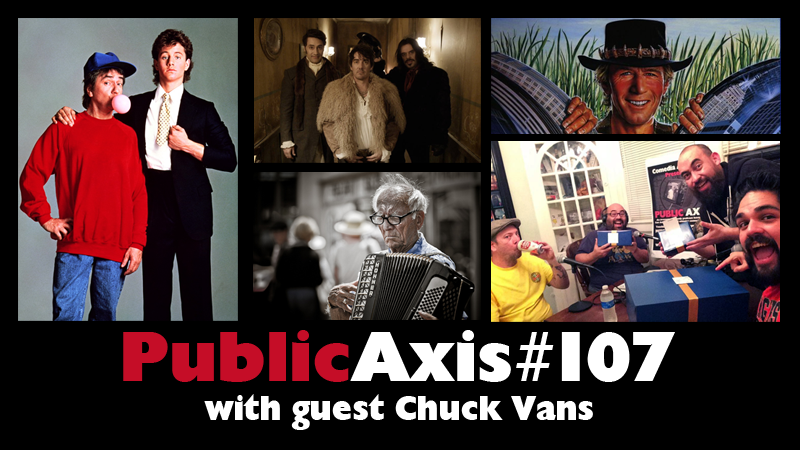 Drop a Snickers in the sink with Public Axis and guest Chuck Vans! Recorded on February 12th, 2015 at the Public Axis F-Stop. 00:00 Welcome to the F-Stop! This week, we welcome San Antonio radio personality Chuck Vans! Tales of old school skateboarding and massive shoe collecting ensue! Plus, awesome gifts from listener Ryan Timothy Brace! Massive and infinite thanks! 52:40 Dad’s Corner(ed)! Topic #2: Who is your favorite artist from your least favorite style of music? 1:09:59 Hey, That’s Not Funny! Topic #3: If you could swap bodies with one person, who would it be? 1:29:58 What Did We Come to Know? Public Axis is an educational program and at the end, we always ask our guests and listeners, “What did you come to know?” Enlighten yourself.